Amanda's passion for health and wellness is evident by her continuing certifications in the wellness industry. In addition to being a YMCA Lifestyle Coach, Amanda is a NASM Certified Personal Trainer, NASM Corrective Exercise Specialist, Therapeutic Coach, Group Fitness Instructor and more. Amanda believes that we all have the tools we need to live healthier and happier lives; it is just a matter of finding the motivation, encouragement & being open to exploring different options that can help us get to where we want to be. The YMCA's Diabetes Prevention Program allows participants to mold their own future and is part of a healthy plan for living a happy life! Amy became interested in diabetes prevention when her 4-year-old neighbor was diagnosed with Type 1 diabetes, which drastically changed the lives of the entire family. She recognizes that change is seldom easy, but seeing others making lifestyle changes to prevent diabetes in the YMCA Diabetes Prevention Program can help people reach their own goals to live healthier lifestyles. Amy loves cooking, Minnesota winters with her family and being outdoors. 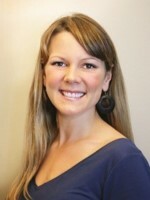 Amy is a registered dietitian and personal trainer who has worked in the wellness field for over 12 years. She joined the YMCA Diabetes Prevention Program as a way to help others achieve their health and wellness goals. Prior to working with the YDPP, she worked in a hospital setting where she witnessed the life-debilitating complications that can occur from diabetes. She is excited to be a part of a program that helps individuals regain their health before these complications occur. In addition to the YDPP, Amy enjoys experimenting with new recipes, doing a variety of fitness activities and keeping up with her two young daughters. Annie is a registered dietitian and holds a Master’s degree in Preventive Medicine and Environmental Health from the University of Iowa. She has over 15 years’ experience as a nutrition consultant, helping people of all ages to live healthier lives. Annie was drawn to the YMCA’s Diabetes Prevention Program because of a history of diabetes in her family and because the program makes good sense: it’s approach is based on research demonstrating effectiveness in reducing the risk of developing diabetes. The qualities Annie brings to her classes are Empathy, Empowerment, and Enthusiasm for facilitating behavior change. Outdoor sports, healthy cooking, and daily long walks with her Wheaten terrier, as well as visiting her grown kids across the country, are favorite activities. Brenda is passionate about incorporating cultural awareness in her practice to empower people through their journey to health in the YMCA Diabetes Prevention Program. She focuses on the strengths that exists in individuals and communities. In her spare time Brenda likes to practice yoga, travel and get creative with cooking. After 10 years of experience with the YMCA fitness and aquatic teams, Cindy now brings her commitment of helping others to the YMCA’s Diabetes Prevention Program. With a degree in Recreation and focus on physical education, she has spent her professional and volunteer career facilitating and training groups to move forward toward their goals. Preventing diabetes and its complications is close to her heart as she has lived closely with family members who have struggled with the disease. Cindy is routinely inspired by her participants who are reversing symptoms and diagnoses by making small changes. She always brings a smile and enthusiasm that's infectious, along with her innate ability to help group members help each other learn. 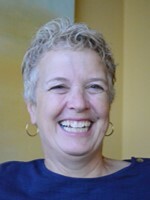 Deborah brings her experience in the world of behavior change as a Counselor/health educator to the Lifestyle Coach role. Deborah struggled with weight as an adolescent and college student but she found her way with lots of support. Deborah went from a person whose only exercise was getting off the couch to get something in the fridge to someone who is active every day! Her area of expertise is stress management. 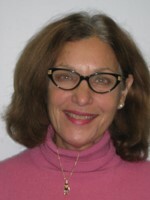 She has taught many workshops on the subject, one of which was for staff at the University of Minnesota. Deborah is thrilled to be a Lifestyle Coach. She brings a playful spirit to all she does. Deborah is a motivator and believes in each person's potential. She has the utmost respect for each person who begins this journey to make a change in their lives. In her spare time she volunteers at five theaters in the Twin Cities. 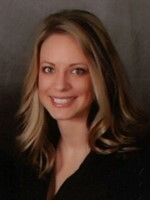 Jessica has a degree in Social Work from Winona State University. With 3 young busy kids, her family joined the Y to help stay active. Participating in the Y’s various program offerings fueled Jessica’s passion for health, wellness, and fitness. She is a firm believer that taking small steps and having a good support system can help make lifestyle changes sustainable. As a group fitness instructor she loves to help people have fun while living healthy lives. She is excited to work with the YMCA’s Diabetes Prevention Program. Joan has a zest for helping those who have decided to make healthy lifestyle changes and is excited for the opportunity to focus on diabetes prevention. Prior to coaching in the YMCA’s Diabetes Prevention Program, she worked in corporate wellness as a dietitian and health coach, helping people make positive health changes including weight management, physical activity, stress management and smoking cessation. When she is not working, Joan enjoys dance fitness classes at the Y, exploring new recipes, and staying active with her family. Jo uses her passion for life and healthy living to help participants in the YMCA Diabetes Prevention Program to create excitement for change and growth. She has a history of participating in and coaching a variety of sports, staying active outdoors, working out at the Y and enjoying natural foods from her local co-op. Karin is a firm believer in the power of a group to help people heal and sustain gradual changes over time. Helping people start where they are, she brings her energy, humor and compassion to her work in the YMCA’s Diabetes Prevention Program. Outside of work, Karin enjoys biking with her husband, spending time with her pet rabbit and designing floral arrangements. 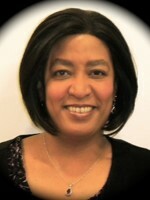 Leslie has over 18 years of experience in workforce, career, and organization development. She is skilled in Coaching and Training, Leadership and Professional Development, and Employee Wellness. She excels in helping people identify their strengths and unique gifts and leverage those talents to accomplish goals. Diabetes prevention is very important to Leslie. She is a long-time volunteer with the American Diabetes Association as a Diabetes Awareness and Prevention Trainer, and is a certified Health and Wellness Coach. She has a strong passion for health and wellness. Leslie integrates her coaching and facilitation background with Yoga, Shiatsu therapy, and other complementary and alternative health modalities to help individuals achieve their wellness goals. Maggie embraces the principles of the YMCA Diabetes Prevention Program—health can be improved through empowerment! In her work, she strives to foster trust, support and personal growth to prevent diabetes. When she is not at the YMCA, she can be found hiking, biking or paddling in our local parks and lakes and rivers with her family. Mary specializes in supporting mature adults to regain their vitality and purpose in life. With more than 20 years of experience inspiring others to meet their individual goals in community, education and career areas, she believes a strong support system makes a huge difference in creating positive change. Good things happen when you’re discovering new habits, having fun and feeling better about yourself! The YMCA has been an important part of Mary’s personal health journey. She is eager to help YMCA Diabetes Prevention Program participants in their path to wellness. 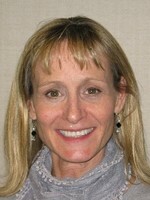 Michele is a Yoga Instructor and Personal Trainer in addition to her Lifestyle Coaching role. Type 2 diabetes runs in her family. Once her mother was diagnosed, Michele became considerably more interested in learning how others can prevent this disease. This close family connection with diabetes has inspired her to help and support others get ahead of the game and prevent becoming diabetic. Michele believes any healthy lifestyle change, large or small, will make a big impact on a person’s overall health. Monica has a degree in engineering and worked as an engineer for 15 years before making a career change to the field of wellness. 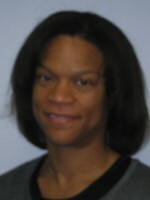 In addition to her role as a Lifestyle Coach, Monica is a Personal Trainer and Group Exercise Instructor. She has a passion for helping others learn to adopt a healthier lifestyle. Monica has four children, including a daughter with Type I diabetes. She has family members with type 2 diabetes and has seen complications related to this disease. She has also seen the reversal of symptoms as a result of consistently applied lifestyle changes. Monica strongly believes that a healthy lifestyle can prevent diabetes and/or reverse some of its effects. She is excited to be a part of the YMCA’s Diabetes Prevention Program. 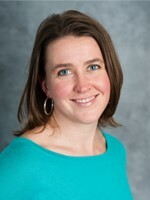 For more than 10 years Rachel has worked in the health care field, through the University of Minnesota Extension Program, teaching nutrition to a diverse group of individuals in twin cities area. She is excited for her role as a lifestyle coach and is most interested in the ‘prevention’ aspect of the YMCA’s Diabetes Prevention Program due to the long term complications that can come with diabetes. Rachel stays busy with swimming, yoga, running, and keeping up with her three young children. As a coach for the YMCA Diabetes Prevention Program, Rosemary understands that diabetes is a public health problem and a personal struggle. She has a passion for empowering people to connect with their values, clarify values and move toward maximum physical and emotional health. The power of connections to others is fuel for personal growth! A fan of year-round hiking, reading and active family time, Rosemary grew up in Buffalo, NY.